theswca blog: Power Spark Ignite! The Star Wars toy merchandising fire was rekindling with increasing intensity in 1994. 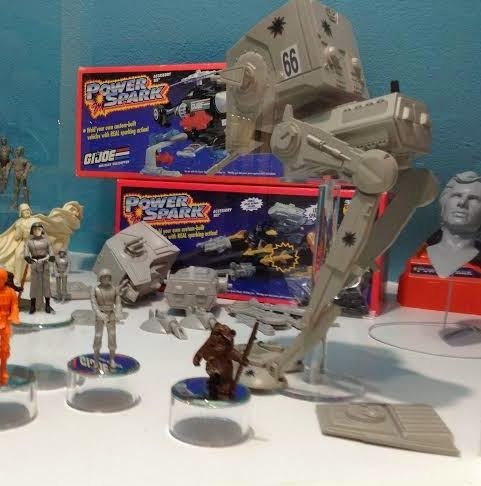 In addition to a brand new 4" scale action figure line on the horizon, Kenner was developing Star Wars incarnations for its short-lived hands-on build 'em and crash 'em "Power Spark" toy line in the form of an X-Wing and AT-ST. As described in the Database entries, the concept of the Power Spark toys involved constructing, destroying, and re-building vehicles with a welding gun and plastic rods -- essentially combining imaginative (or vicious) play with classic model-building. 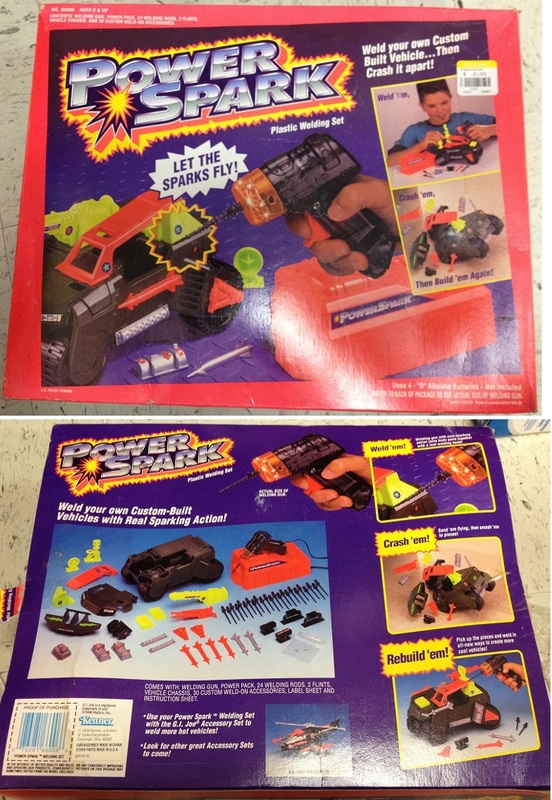 During the line's two year run, a basic starting kit with a generic car-like vehicle was released, along with add-on sets for one Batman and one G.I. Joe vehicle. Though the Star Wars vehicles never made it to retail, they progressed significantly through the production process with each vehicle even featuring corresponding pairs of small articulated figures. 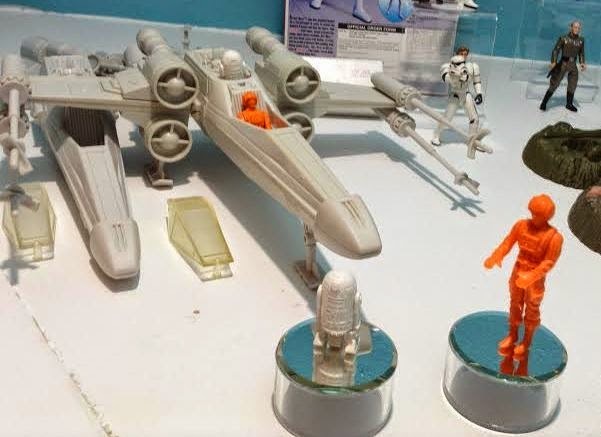 According to a former Kenner engineer who drew up the plans for these toys and their distinctive gadgetry, only 6 functioning first shots were created for each of the sets. Only one hardcopy of each is known to exist. What set these Star Wars vehicles apart was a seemingly different purpose for the welding gun. Rather than simply welding parts together, the gun provided power to built-in electronic action features. Now 20 years later, good friend Yehuda Kleinman recently performed an intriguing experiment with first shot examples of each vehicle from his collection which brought these little mechanisms to life. After assembling the first shots, Yehuda used a standard Power Spark gun to activate each toy's device. All of the action was captured on video by Yehuda and his son Jacob. 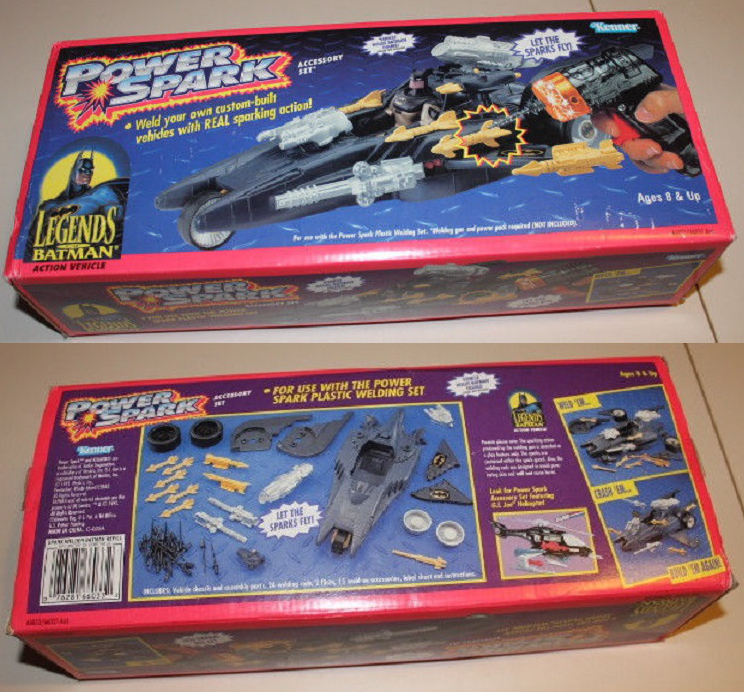 These unique clockwork-based mechanisms were clearly intended to take the Power Spark concept to the next level, but alas, the line was scrapped before they could ever make it to kids' hands. Pretty cool to see these would-be toys still operational after all this time.